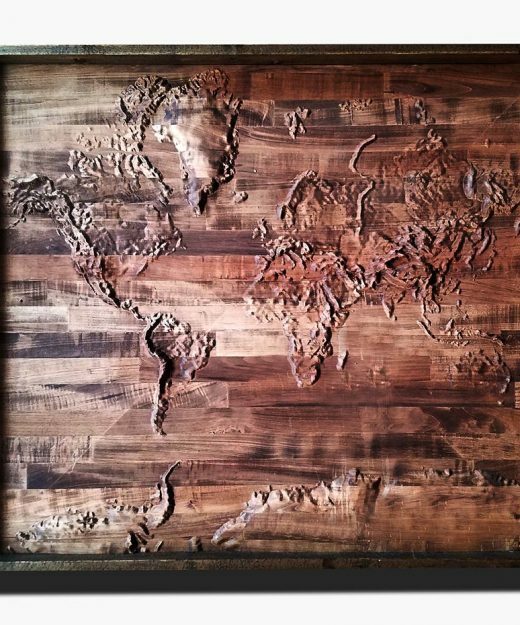 Map of the World from Reclaimed Barn Wood, recycled, reclaimed barn wood, vintage, rustic fine art one of a kind piece. 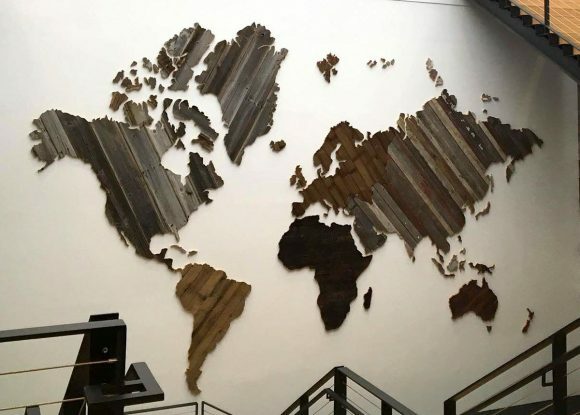 This is the world map that I made for the Under Armour home office in Baltimore Maryland. It measured 32’x26′. Made from 100 percent reclaimed barn wood! Contact me for custom maps of anywhere in the world! 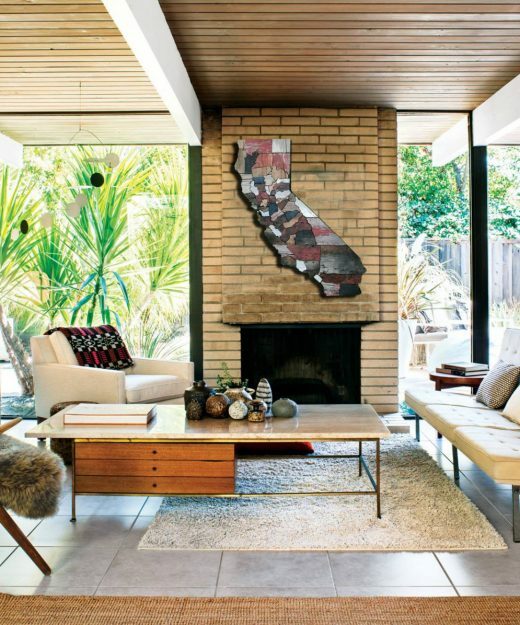 Calfornia Counties map made from Reclaimed Barn Wood, recycled, reclaimed wooden map, vintage, rustic fine art one of a kind piece. 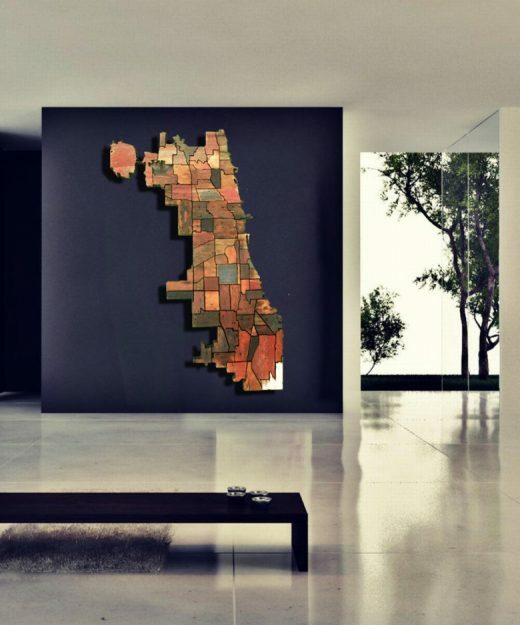 Chicago neighborhood Map from Reclaimed Barn Wood, recycled, reclaimed woo map, vintage, rustic fine art one of a kind piece. 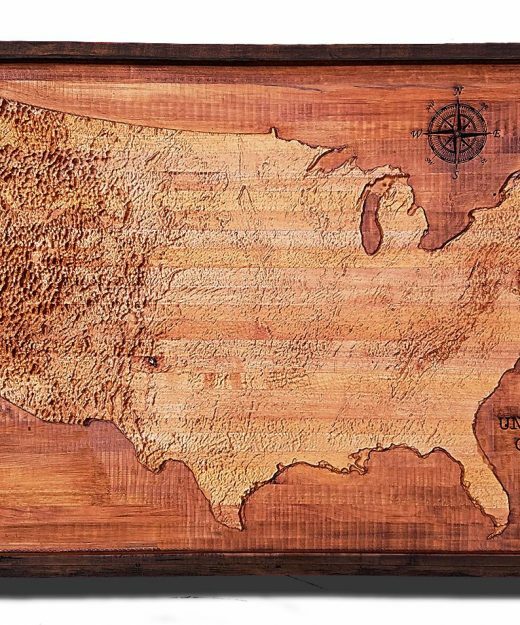 Topographical World Map from a reclaimed hardwood glue up, relief map, State map, vintage, rustic fine art one of a kind piece.